Unless otherwise stated, www.taxiga.com and/or its licensors own the intellectual property rights published on this website and materials used on www.taxiga.com. Subject to the license below, all these intellectual property rights are reserved. You must not use this website in any way that causes, or may cause, damage to the website or impairment of the availability or accessibility of www.taxiga.com or in any way which is unlawful, illegal, fraudulent or harmful, or in connection with any unlawful, illegal, fraudulent or harmful purpose or activity. You must not conduct any systematic or automated data collection activities on or in relation to this website without www.taxiga.com's express written consent. You must not use this website for any purposes related to marketing without the express written consent of www.taxiga.com. Access to certain areas of this website is restricted. www.taxiga.com reserves the right to restrict access to certain areas of this website, or at our discretion, this entire website. www.taxiga.com may change or modify this policy without notice. If www.taxiga.com provides you with a user ID and password to enable you to access restricted areas of this website or other content or services, you must ensure that the user ID and password are kept confidential. You alone are responsible for your password and user ID security..
www.taxiga.com may disable your user ID and password at www.taxiga.com's sole discretion without notice or explanation. You grant to www.taxiga.com a worldwide, irrevocable, non-exclusive, royalty-free license to use, reproduce, adapt, publish, translate and distribute your user content in any existing or future media. You also grant to www.taxiga.com the right to sub-license these rights, and the right to bring an action for infringement of these rights. Your user content must not be illegal or unlawful, must not infringe any third party's legal rights, and must not be capable of giving rise to legal action whether against you or www.taxiga.com or a third party (in each case under any applicable law). www.taxiga.com reserves the right to edit or remove any material submitted to this website, or stored on the servers of www.taxiga.com, or hosted or published upon this website. www.taxiga.com's rights under these terms and conditions in relation to user content, www.taxiga.com does not undertake to monitor the submission of such content to, or the publication of such content on, this website. This website is provided “as is” without any representations or warranties, express or implied. www.taxiga.com makes no representations or warranties in relation to this website or the information and materials provided on this website. These limitations of liability apply even if www.taxiga.com has been expressly advised of the potential loss. matter which it would be illegal or unlawful for www.taxiga.com to exclude or limit, or to attempt or purport to exclude or limit, its liability. You accept that, as a limited liability entity, www.taxiga.com has an interest in limiting the personal liability of its officers and employees. You agree that you will not bring any claim personally against www.taxiga.com's officers or employees in respect of any losses you suffer in connection with the website. Without prejudice to the foregoing paragraph, you agree that the limitations of warranties and liability set out in this website disclaimer will protect www.taxiga.com's officers, employees, agents, subsidiaries, successors, assigns and sub-contractors as well as www.taxiga.com. You hereby indemnify www.taxiga.com and undertake to keep www.taxiga.com indemnified against any losses, damages, costs, liabilities and expenses (including without limitation legal expenses and any amounts paid by www.taxiga.com to a third party in settlement of a claim or dispute on the advice of www.taxiga.com's legal advisers) incurred or suffered by www.taxiga.com arising out of any breach by you of any provision of these terms and conditions, or arising out of any claim that you have breached any provision of these terms and conditions. Without prejudice to www.taxiga.com's other rights under these terms and conditions, if you breach these terms and conditions in any way, www.taxiga.com may take such action as www.taxiga.com deems appropriate to deal with the breach, including suspending your access to the website, prohibiting you from accessing the website, blocking computers using your IP address from accessing the website, contacting your internet service provider to request that they block your access to the website and/or bringing court proceedings against you. www.taxiga.com may revise these terms and conditions from time-to-time. Revised terms and conditions will apply to the use of this website from the date of the publication of the revised terms and conditions on this website. Please check this page regularly to ensure you are familiar with the current version. www.taxiga.com may transfer, sub-contract or otherwise deal with www.taxiga.com's rights and/or obligations under these terms and conditions without notifying you or obtaining your consent. www.taxiga.com's registration number is 15072276.
www.taxiga.com's Tax number is 47-1006783. 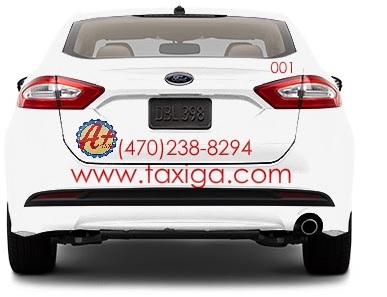 The full name of www.taxiga.com is A Plus Taxi & Service inc.
www.taxiga.com is registered in United States under registration number 15072276. You can contact www.taxiga.com by email at our email address link at the top of this Terms of Service document. Welcome to A Plus Taxi & Service Inc! These terms and conditions outline the rules and regulations for the use of A Plus Taxi & Service Inc's Website. By accessing this website we assume you accept these terms and conditions in full. Do not continue to use A Plus Taxi & Service Inc's website if you do not accept all of the terms and conditions stated on this page. Unless otherwise stated, A Plus Taxi & Service Inc and/or it’s licensors own the intellectual property rights for all material on A Plus Taxi & Service Inc All intellectual property rights are reserved. You may view and/or print pages from http://taxiga.com for your own personal use subject to restrictions set in these terms and conditions. Redistribute content from A Plus Taxi & Service Inc (unless content is specifically made for redistribution). Certain parts of this website offer the opportunity for users to post and exchange opinions, information, material and data ('Comments') in areas of the website. A Plus Taxi & Service Inc does not screen, edit, publish or review Comments prior to their appearance on the website and Comments do not reflect the views or opinions of A Plus Taxi & Service Inc, its agents or affiliates. Comments reflect the view and opinion of the person who posts such view or opinion. To the extent permitted by applicable laws A Plus Taxi & Service Inc shall not be responsible or liable for the Comments or for any loss cost, liability, damages or expenses caused and or suffered as a result of any use of and/or posting of and/or appearance of the Comments on this website. A Plus Taxi & Service Inc reserves the right to monitor all Comments and to remove any Comments which it considers in its absolute discretion to be inappropriate, offensive or otherwise in breach of these Terms and Conditions. You hereby grant to A Plus Taxi & Service Inc a non-exclusive royalty-free license to use, reproduce, edit and authorize others to use, reproduce and edit any of your Comments in any and all forms, formats or media. We will approve link requests from these organizations if we determine that: (a) the link would not reflect unfavorably on us or our accredited businesses (for example, trade associations or other organizations representing inherently suspect types of business, such as work-at-home opportunities, shall not be allowed to link); (b)the organization does not have an unsatisfactory record with us; (c) the benefit to us from the visibility associated with the hyperlink outweighs the absence of A Plus Taxi & Service Inc; and (d) where the link is in the context of general resource information or is otherwise consistent with editorial content in a newsletter or similar product furthering the mission of the organization. If you are among the organizations listed in paragraph 2 above and are interested in linking to our website, you must notify us by sending an e-mail to thomas.conway@taxiga.com. 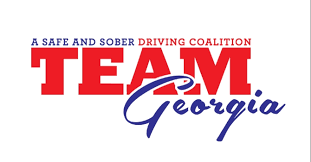 Please include your name, your organization name, contact information (such as a phone number and/or e-mail address) as well as the URL of your site, a list of any URLs from which you intend to link to our Web site, and a list of the URL(s) on our site to which you would like to link. Allow 2-3 weeks for a response.